Qantas non-stop PER to LHR? according to this: https://au.news.yahoo.com/thewest/wa...-closer/#page1 Qantas is considering non-stop 787 services to LHR; 17.5 hrs. It says that the flight would run from Perth domestic not int'l: why would they do that? I'd suggest that it might be more a case of the WA government wishing, hoping and praying that such flights might be announced before the next election. It says that the flight would run from Perth domestic not int'l: why would they do that? To give Qantas INTL passengers a seamless transfer to/from the Qantas domestic Network. Excellent idea I reckon. This of course would necessitate Customs and immigration in an INTL section of the Qantas/former Domestic terminal. separate customs and immigration service, benefitting just one airline? Possibly not, but if they can integrate the flight with domestic flights from the east coast then they could offer a one-stop journey from the east coast to LHR to complement their one-stop services via Dubai. That might make it a more viable proposition, especially if they can provide an easy transfer in Perth. Last edited by BuzzBox; 14th Sep 2016 at 09:28. BuzzBox as opposed to a one-stop (Dubai) journey from the east coast (MEL or SYD) to LHR ?? Possibly not, but if they can integrate the flight with domestic flights from the east coast then they could offer a one-stop journey from the east coast to LHR. That might make it a more viable proposition, especially if they can provide an easy transfer in Perth. Makes no sense to me that. 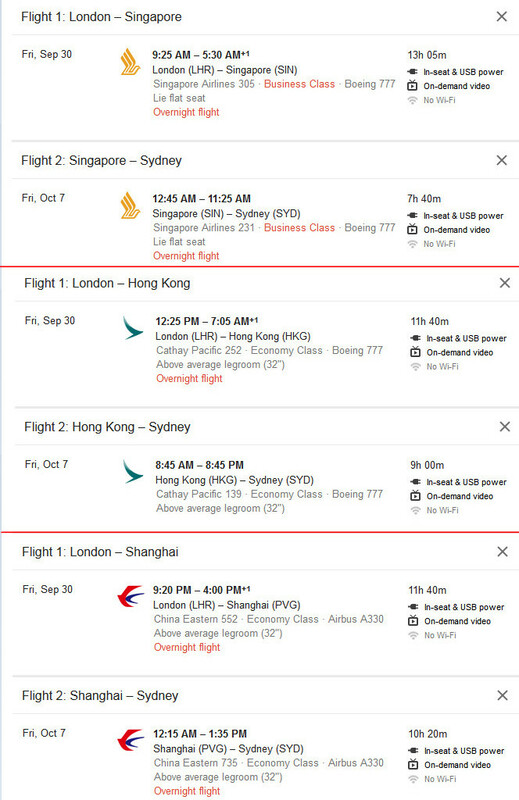 What's the difference between flying from Sydney to Perth and then onto Heathrow to Sydney to Dubai/Singapore/any far east country and then onto Heathrow? Hard pressed calling a transit through Dubai Airport as a visit to the Middle East! 17.5 hours without a break would be terrible, not to mention switching to a domestic aircraft configuration with less legroom and seat width for the last 4.5 hours of the trip. Much more to see and do, if you so desire, in Dubai than Perth, likewise the facilities at DUBAI are no doubt far superior than PERTH if you were just transiting. interestingly, via Shanghai is the same time as via Perth, other transits are even faster than via Perth (these are just examples of the flight time, no effort to minimise time in transit). Last edited by p.j.m; 14th Sep 2016 at 10:02. As opposed to the white Oakley sunglasses, boardies, sleeve tatts, and McMansions of Perth? Qantas Network and Commercial is pushing this idea, however flawed we know it is. The 787-9 is limited from Perth to London as it is let alone weather requiring an alternate is forecast. (which is rather common for Heathrow) The simple fact is it would still be a one stop service to London from anywhere but Perth, and would save zero time compared to any other airline transiting through their various hubs. In fact Darwin would be an obvious hub to London for QF as the distance is a few hundred miles less, but I think the problem is that QF has invested so much in the Perth Terminals that they are pushing it. They are talking about turning the old virgin domestic terminal into a QF international terminal to make the transfer seamless. Won't work, plain and simple. Still wouldn't be any quicker from the east coast of oz to London. And in fact if you wanted to go to anywhere but London you still would be better off with another hubbing airline. If they could make the transfer seamless it would be a pretty good way to go. I assume they lineup as many inbound flights as they can and actually have a real hub connection. The downside to this of course is how long do you wait for a delayed connecting flight. With circa 17 hour flight time noone wants another 20 minutes waiting for the MEL/SYD/BNE aircraft to arrive. Maybe so. But if QF play this smart you should be able to walk straight from your domestic flight through customs and be boarding within 30 minutes. You don't need 3kms of shops full of stuff you can't afford if it's a short connection. Dubai is built around 2 hour+ connections. Agreed Neville , but remember the great circle track to London from the east coast tends to favour Asian stopovers so even in best case it probably would still be quicker via a good Asian/ME stopover. I can see this starting but failing in the long term. QF needs to start hubbing through Darwin or a SE Asian capital again.